Springtime is when ants become more active and begin to look for a new area to grow their colony. It’s the season when ants thrive in a place that stays warm at night and where water and food is close by. Unfortunately, our homes and offices often fit this bill perfectly. Ants are excellent scavengers and will crawl through the smallest crack or crevice they can find to gain access to your buildings. Most of the springtime ants you see in your home are looking for food to bring back to their colony. So, if they happen to keep finding food in your home, their friends will begin to show up and continue to do so until the number of ants in your house is more than you can handle on your own. Once inside, the ants will immediately begin searching for a food source. Ants have an extremely strong sense of smell and can snuff out food from a great distance away. They especially tend to be attracted to sugary, sweet foods like we as humans also tend to enjoy. 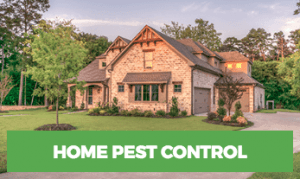 Once the ants discover a food source in your home, they will begin to take food back to their nest, leaving a specific trail of scent that other ants in the colony can follow back and forth from where the food is to the nest to feed the other ants. Once an ant infestation is established in your home, it can be quite difficult to remove on your own. 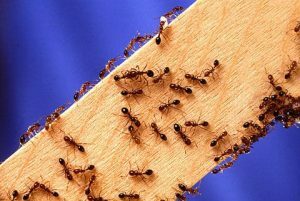 Some of the most common New York types of ants found in homes and businesses include Carpenter Ants, Acrobat Ants, Pavement Ants, Odorous House Ants, Pharaoh Ants, Citronella Ants. 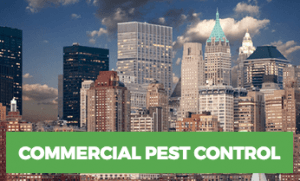 Carpenter ants are one of the most dangerous ants that your home can be exposed to as they have been known to cause excessive damage to the structure of homes and businesses in New York that can be very expensive to repair. They will burrow through wood and nest in it, destroying your property that is often confused with the damage caused by termites. Several different types of ants look very similar to carpenter ants. The size of carpenter ants are ¼ to ½ inch, and their colors are mostly black with a reddish tint. If you have found ants that are yellowish you are probably experiencing either Citronella Ants or Pharaoh Ants. Just like the name implies, Citronella ants will give off a citrus smell when squashed and are much smaller in size than a pharaoh ant. While Pharaoh Ants are destructive and can build nests in walls, behind cabinets & baseboards, refrigerator insulation, inside curtain rods, stored clothing & bed sheets, stored paper products and other undisturbed dark spaces. The first thing you need to do is find the ants that may have invaded both inside and outside your home. The good news is that ants aren’t the best riders in the world. Unlike insects that will hide in your home, sometimes even inside your furniture, ants tend to stay out in the open. This is great for any homeowner trying to track them down. All you need to do is look around and try to spot them. What’s even better is that they travel in large numbers, so it’s not like you’ll be looking for one tiny ant. Inside your home is the easiest part. Just take a look around, and if you see something moving in a long line on your wall or floor, there’s a good chance they’re ants. When you venture outside, look for the same thing, but keep in mind that their color may help them blend into their surroundings if they’re in the dirt somewhere. Also, keep a lookout for their nest. Some nests are flush with the ground, but others protrude a bit. Some likely places that ants are to build a nest inside your home are anywhere that has a decent amount of moisture. Ants like moisture and can find it in your basement, under sinks or a place where structure or siding has been damaged and exposed. 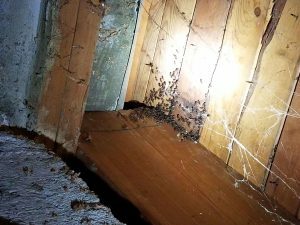 Wood shavings cluttered underneath your cellar or attic could be a sign of carpenter ants. 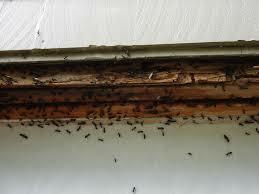 If the swarmers are inside your house it might be a sign of pharaoh or carpenter ants. However, ants can build their nest outside of your house too. So, they can come inside through cracks and crevices in your foundation. The most important and easiest task you can do to keep ants at bay is to keep your home clean and tidy. If you happen to spill sugar on the kitchen floor, you may eventually see an ant. If you do not adequately clean up the sugar from your kitchen floor, later on, you will probably see an entire troop of ants marching in and out of your kitchen! Sometimes people live hectic lifestyles, and it is easy to put off washing the dishes until tomorrow or neglecting to wipe off the counters right away. Simple chores like cleaning up immediately after dinner, wiping crumbs from the table and sweeping the floor will deter ants away from your home. It is essential for homeowners to seal off and repair any moist areas of the home, keep a tidy house and most importantly a clean kitchen. A quick solution is to spray a line of ants that you find or use a powder that you can spread around. The danger here is that you’re putting poison on the ground. If you have children or small pets, that might not be a great idea. If you find the entrance to their nest outside, pick up a product designed to fit over the hole and deliver a poison throughout the colony. Make sure cracks in your basement walls are closed off. Seal around pipes, electrical outlets, and HVAC units. Examine weather stripping and door screens. Make sure they are adequate. Keep all food sources stored in air tight containers. Keep basement and crawl space areas clean and free of clutter. Remove leftover pet food as soon as your pet finishes eating.